After the final scorching day of Leeds Loves Food in Millennium Square, I was invited to sample some of Andy Lawson’s (Head Chef of Malmaison, Leeds) dishes as seen in the Leeds Loves Food food theatre demo earlier in the day, despite nerves Andy performed brilliantly and gave a very informed and professional demonstration amongst the heat & crowds of the midday sun. Myself and a few other guests were greeted at Malmaison on Swinegate, Leeds and seated in the pleasantly air-conditioned bar for cocktails, we tried the Head bartenders recent cocktail competition entry “Yorkshire Lass” a fragrant Yorkshire cocktail with flavours of Lavender, blueberries and Hedgerows, the cocktail included muddled blueberries, Chase Herefordshire Potato Vodka & Sloe Gin from Yorkshire’s SloeMotion. 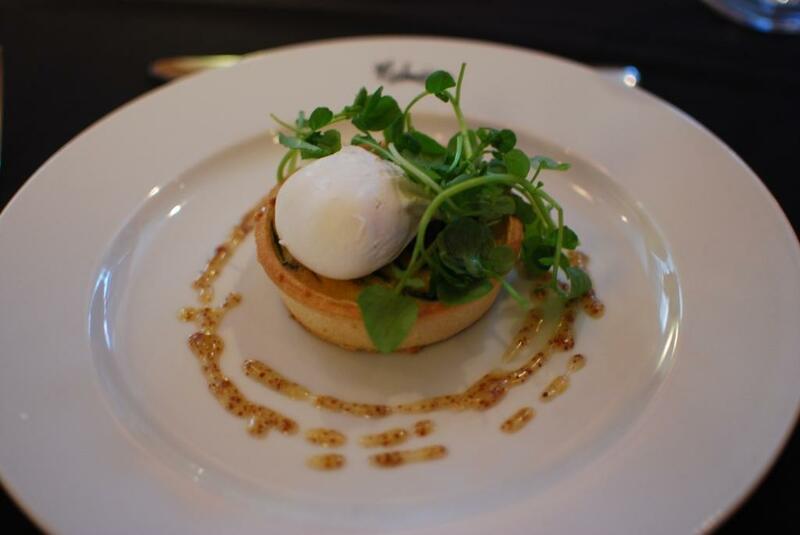 Smoked haddock & creamed leek tart with poached egg, lightly smoked haddock & runny poached eggs are a perfect mix of flavours and were devoured whilst we debated “How to cook the perfect poached egg“! Paired with Chablis, Grand vin de Bourgogne. Yorkshire free range chicken, Yellison Farm goats cheese, sauté potatoes, walnuts, oven crisp ham, lemon & thyme vinaigrette. Of course I approve of anything that includes my favourite goats cheese, even if they did try and eat my van! 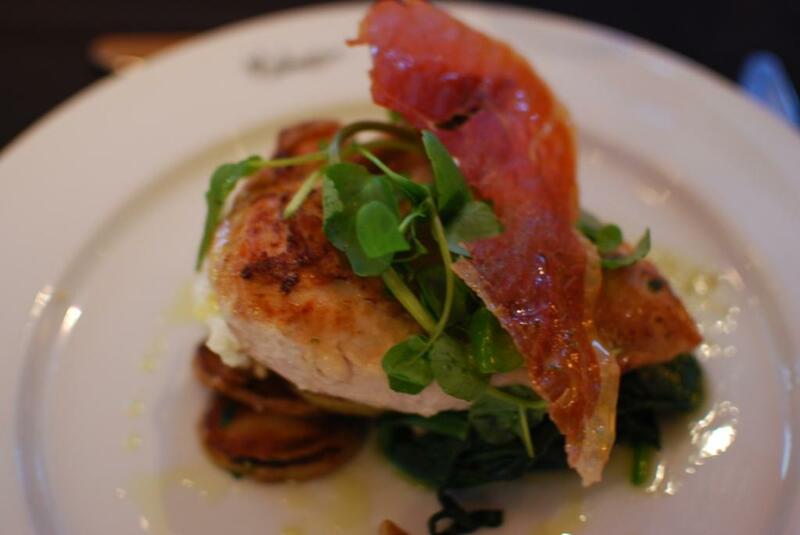 beautifully moist chicken complimented with the soft cheese and the crunch of the walnuts and ham. Paired with Gewürztraminer with notes of Turkish Delight (thanks chef), rose water and elderflower. cheese selection from the trolley, British & Continental cheeses with walnut bread, oat cakes and chutney. An impressive selection of local and Continental cheese, exuberantly described & served, complimented with a favourite rich & peppery Austrian Friendly Grüner Veltliner (aka Gru-Vee horrible nickname)! 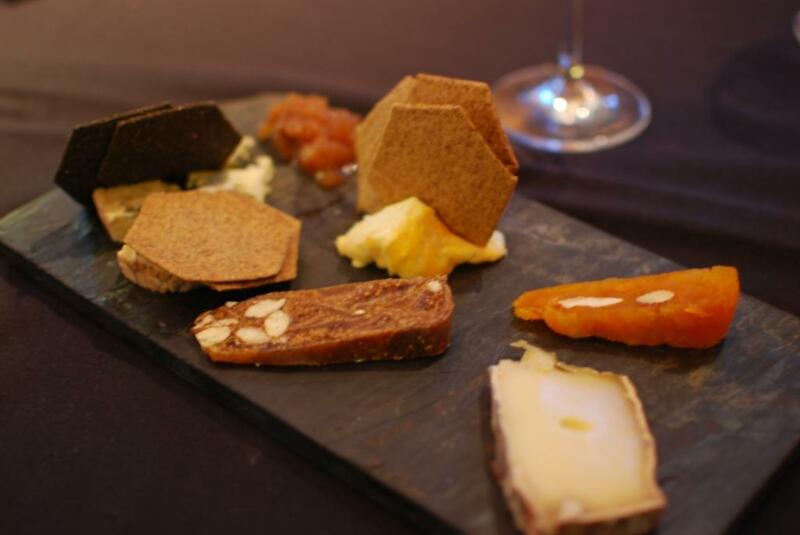 As we were invited as guests to sample Malmaison, Leeds during Leeds Loves Food I cannot attest to the value although the cheese plate at £8.50 has to be tried, I only sampled four from the trolley, Epoisses de Bourgogne, Langres, Fourme d’Ambert & Saint Nectaire, but you could be greedy and have more! Nice atmosphere, good food & wine, try it for yourself…. This entry was posted in cheese, chefs, Eating, Eggs, Food, Leeds, Reviews, Yorkshire and tagged Chablis, cheese, chicken, cocktails, crispy ham, Grüner Veltliner, Leeds, Malmaison, Poached egg, smoked haddock, yellison farm goats cheese, Yorkshire. Bookmark the permalink. So jealous! I Was invited to this too but was camping in Norfolk! Looks like you had a nice time! 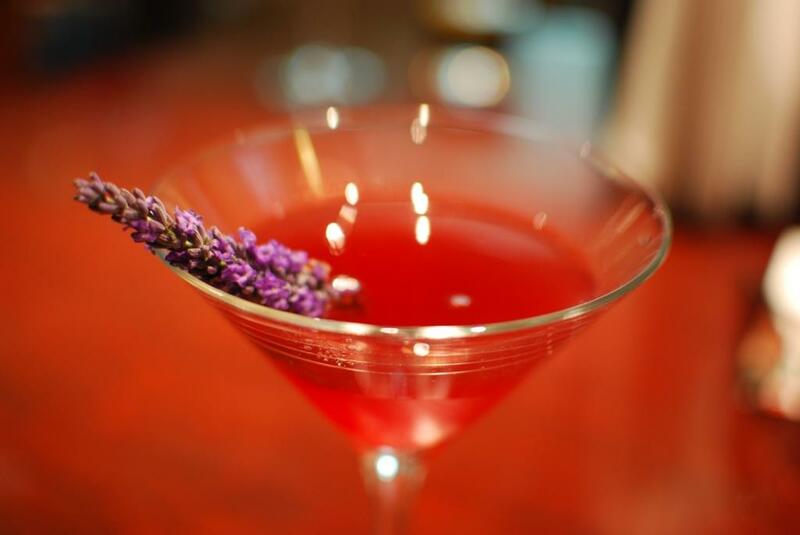 Fabulous – I love the sound of that cocktail!